March 31 is the deadline for player's chance to download Mewtwo as a playable character in Super Smash Bros. for the 3DS and Wii-U. 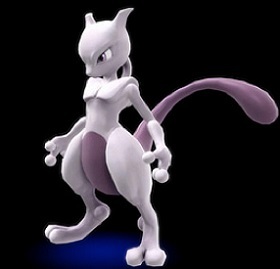 Mewtwo will become the first downloadable fighter in the Super Smash Bros. franchise, Nintendo's mascot fighting game. In order to obtain the character, players must join Club Nintendo and register copies of both the 3DS and Wii-U versions of the game. Despite the deadline of the end of the month, the actual character will not be available until a later, still unspecified date sometime this spring. There are currently no plans for further downloadable characters; though it is entirely within the realm of possibility, Club Nintendo's discontinuation makes it an unlikely possibility. Blue vixen fans will just have to wait (and hope) for the next console. Update 2 (April 2): There is now a system in place for voting on characters; I forgot who I picked. It is available until October, so don't expect a quick turnaround. Also, the March 31 deadline was only for a free Mewtwo; Mewtwo will be available for $3.99 for one game or $4.99 in bulk. 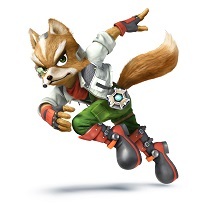 What furry character would you most like to see in a new Super Smash Bros. game? What is this Super Smash Bros., again? Surprising no one, Nintendo announced at this year’s E3 that it will release a new Super Smash Bros. for its forthcoming Wii U console. The fighting series includes furry Nintendo characters such as Fox McCloud and Lucario, plus guest character Sonic the Hedgehog. Series creator Masahiro Sakurai has not ruled out the possibility of a release on the 3DS, which would be the first installment of the series on a handheld video game system. The game or games, though definitely coming to at least the Wii U, are not yet in production. Sakurai’s studio, Sora, is currently working on the 3DS game Kid Icarus: Uprising, and may defer Super Smash Bros. until its completion, giving furry gamers plenty of time to petition for inclusion of their favorite characters.